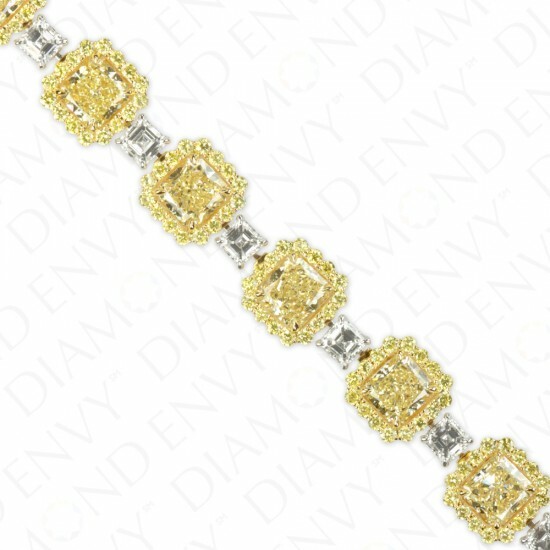 This choice cocktail bracelet is worthy of being worn to any soiree. 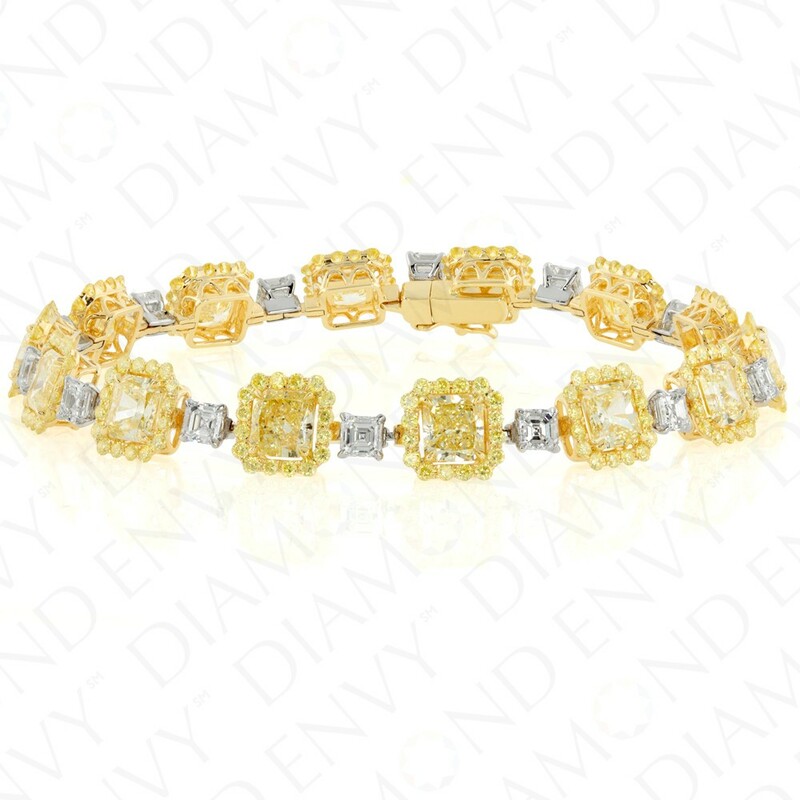 Set in 18K two-tone gold, it features 14 dazzling VS1-SI1 radiant cut Fancy Light to Fancy Yellow diamonds, 10.27 ct. 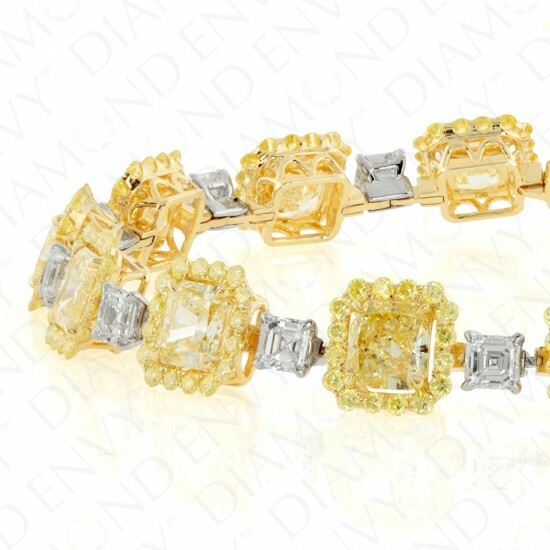 tw., each framed by 16 VS2-SI2 round Fancy Light to Fancy Intense Yellow diamonds, 2.46 ct. tw. The exposed edges of the accent diamonds add a particularly feminine touch to the bracelet. Asscher cut diamonds alternate with each yellow diamond piece de resistance. Asscher cuts are F-G VS1-SI1 and total 14 pieces, 2.71 ct. tw. 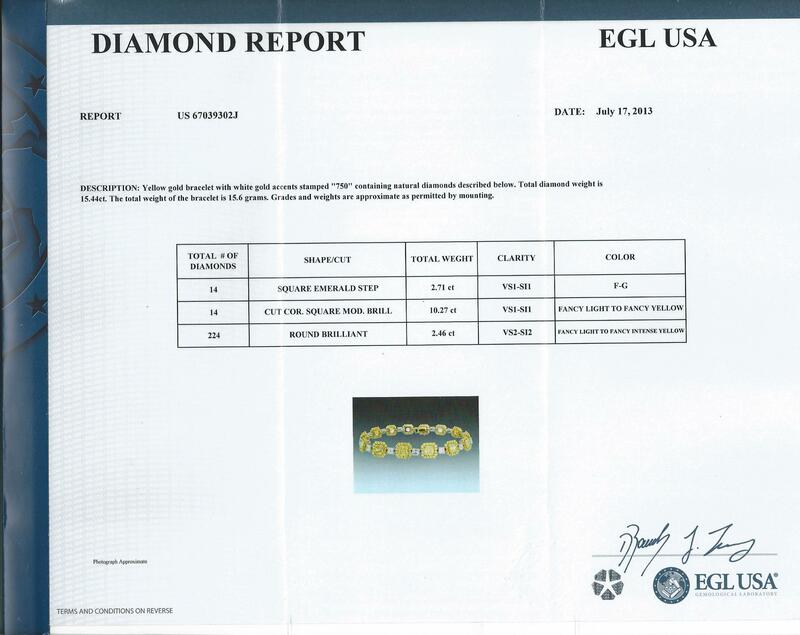 Gold weight: 15.60 grams. EGL-certified.